Hello ladies and I do hope you’ve got a great weekend! I was sorting my photo archives and looking for something to write, when I stumbled these beautiful images I have during my museum visit in 2014. Yep these are in 2014 and almost 3-years ago. 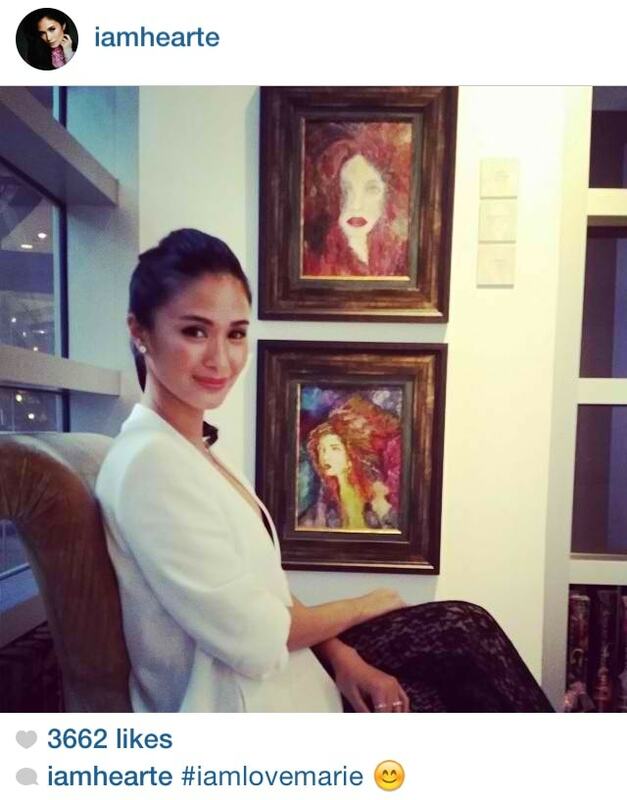 These gorgeous artworks was created by Love Marie Ongpauco-Escudero, an actress also known as Heart Evangelista, and now one of the IT artist in the Metro, not to mentioned she is also known for her huge collection of Hermes bags, which I will tell you on my next post. It was one of the most anticipated exhibit during that time and I thought I couldn’t make it to the exhibit, but hey I did! 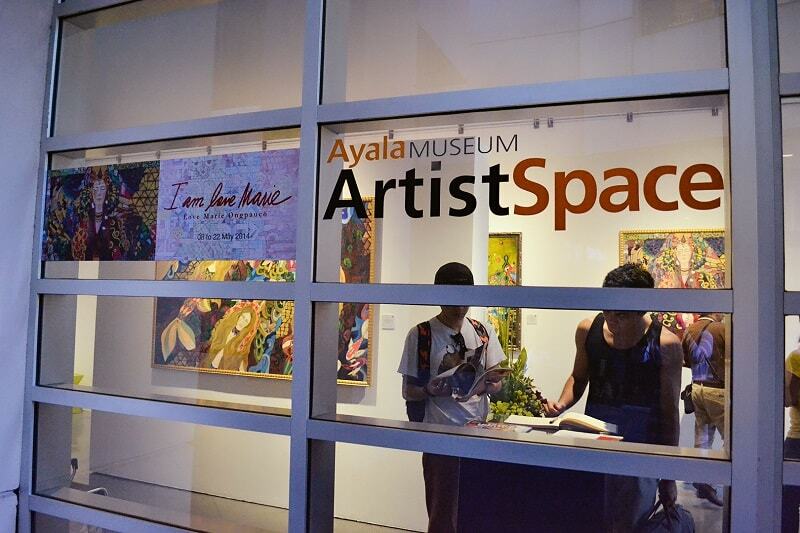 Luckily it Ayala Museum offered audience for free admission. 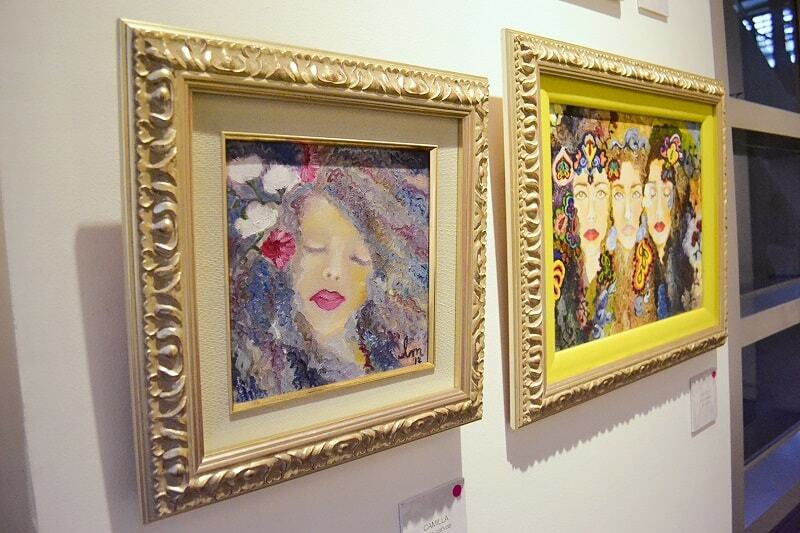 She’s been painting since her childhood days, but only in 2014 she made her creations made open to the public. Her creations are one of the kind full of love and colors, and it’s hard not to notice them. 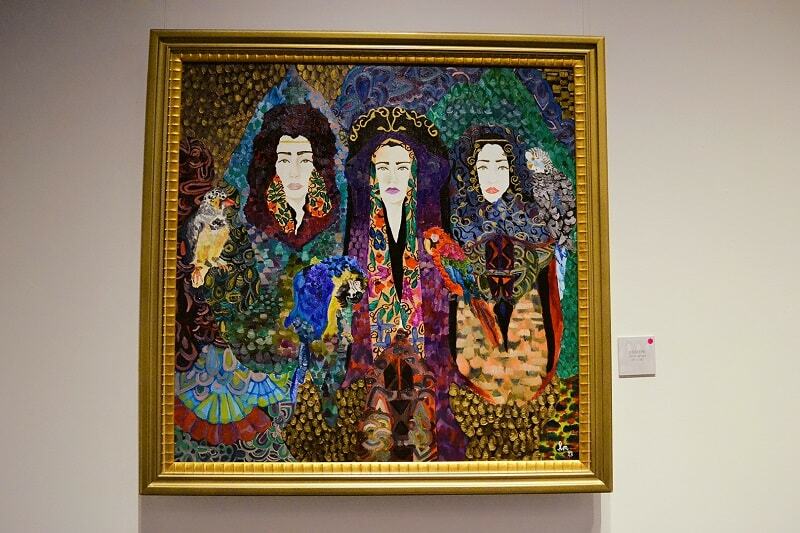 And I remember then (as I’ve been following her works) that these pieces that are displayed are already considered sold weeks before the opening, and just displayed in Ayala Museum for the sake of the engagement. And that’s amazing! 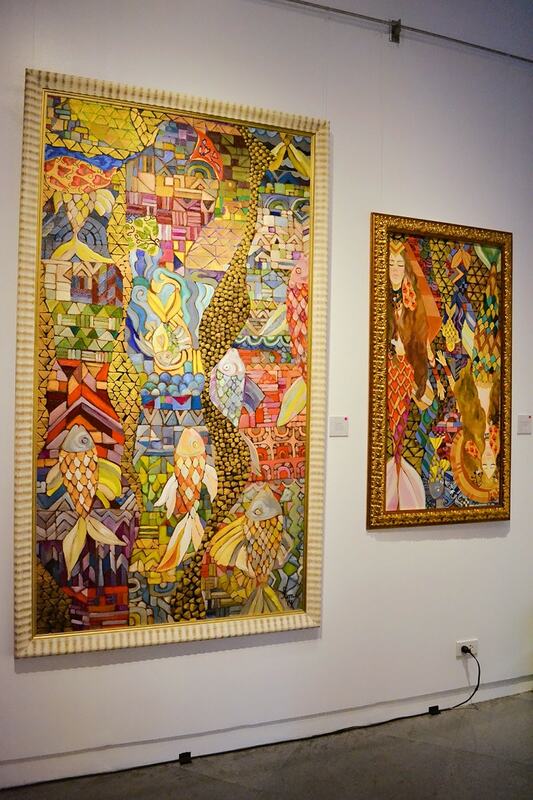 Because of her beautiful creations and also influence, her works are became talk-of-the-town. In 2016, she also have another exhibit of her collection, however I didn’t make it to visit because it’s quite far from my place. And I have a feeling that she will have another exhibit very soon, so I have o hold-on for that excitement. That way, it will be more exciting! I've also posted previously her, behind-the-scene when she's making her first series years ago! Like I’ve said it is very hard not to notice her works because of tons of colors! I love these kind of paintings, and not a huge fan of abstract and sad feeling from their paintings. With her works, you see passion, love, hope, a high-spirited woman who is ready to face any challenges. 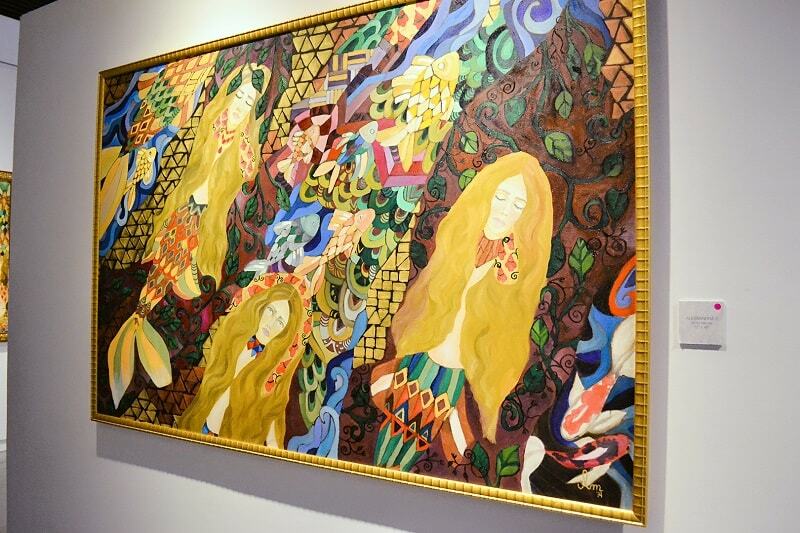 You could also see her life through her paintings, how happy her childhood is, and her glitz and glamorous lifestyle. She inspires the many, including me to push boundaries and discover the potentials, and embrace womanhood. I was actually thinking of learning how to paint, but due to many distractions, I have now – I can’t make it yet.. but I know I will soon! Love Marie Ongpauco-Escudero. Yeah she’s a darling of the crowd and the media love her. And wouldn’t be? And seems she doesn’t age a bit. I wonder what her beauty secrets are! 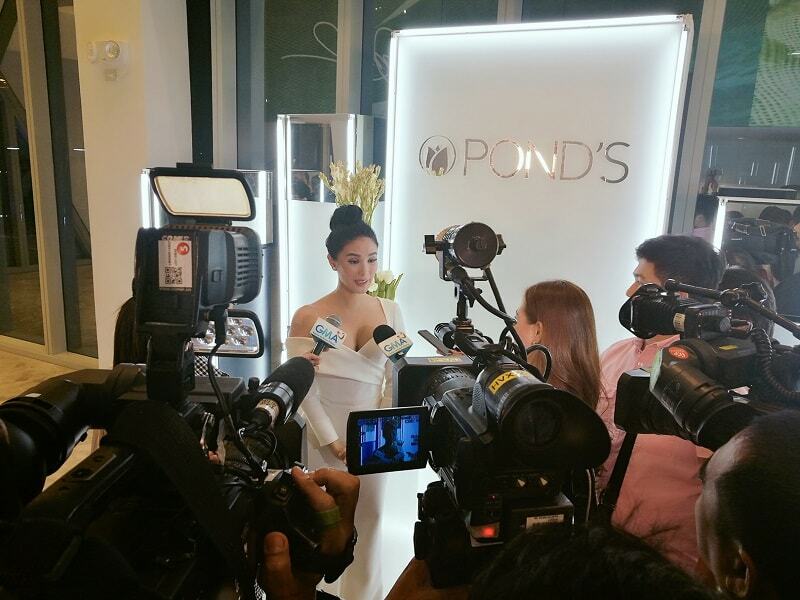 She was also present in the POND’s Institute White Party but I haven’t got a chance to introduce myself and request for a photo opp. Anyway there will be always a next time, and I know it will be more fruitful. Next time I’ll share you some of her creations using Hermes bag as her canvass. Yes! The exact uber-expensive Hermes bag that every ladies are dying for. She first did it to her Hermes when her bag was accidentally stained and can’t be repaired, so she painted it instead! 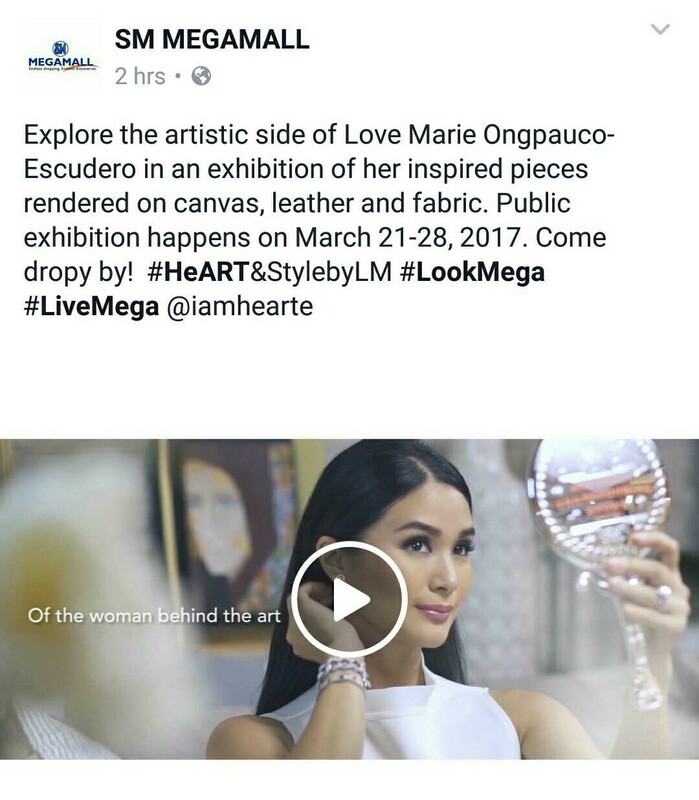 She also have her public exhibition, happening now until March 28, 2017 at SM Megamall, so if you have free time, feel free to drop-by and check her creations. She's a clever girl, right? Ohh you don't know how much gorgeous she is and very humble. She loves dogs too! Her artwork is truly beautiful and unique. I can't wait to hear more about her Hermes collection too, she is quite talented! Thank you dear for visiting, and yeah I will share it very soon! Thank you Beth! When I found something very interesting to my eyes, I make sure I will pay them a visit. 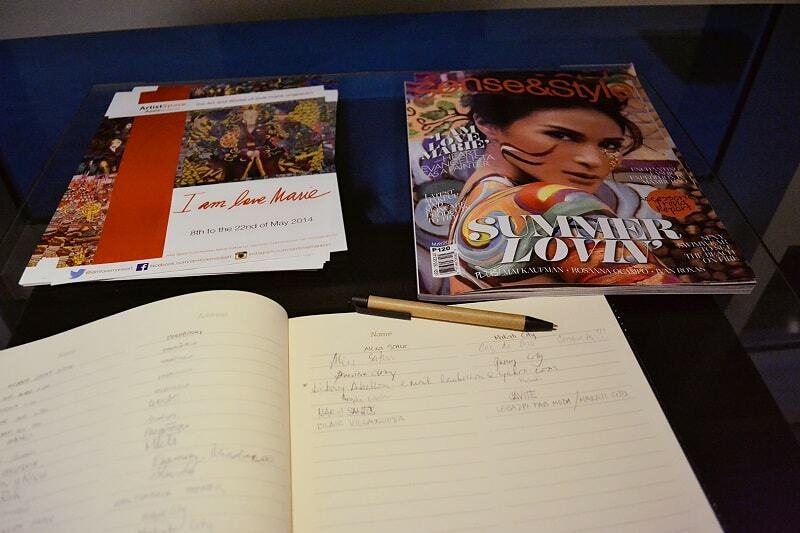 And not all blogger here knows about this exhibition. great art pieces. would love to visit some day! I love her art and is creative and beautiful. She also charming and beautiful. I know right. Ohh Betty she is also a PAW Advocate. She loves dogs AF. Thank you for taking time on reading and appreciating her artworks Liza. I love visiting galleries, but not all coz I have very distinct taste on art. Arts helps me to think clearly and gather inspiring ideas for my content. I definitely like the art nouveau inspiration she's taken and given it her own magical twist. Quite interesting. Thank you for sharing. These are pretty. I love all the different colors. The pictures just pop. I agree. 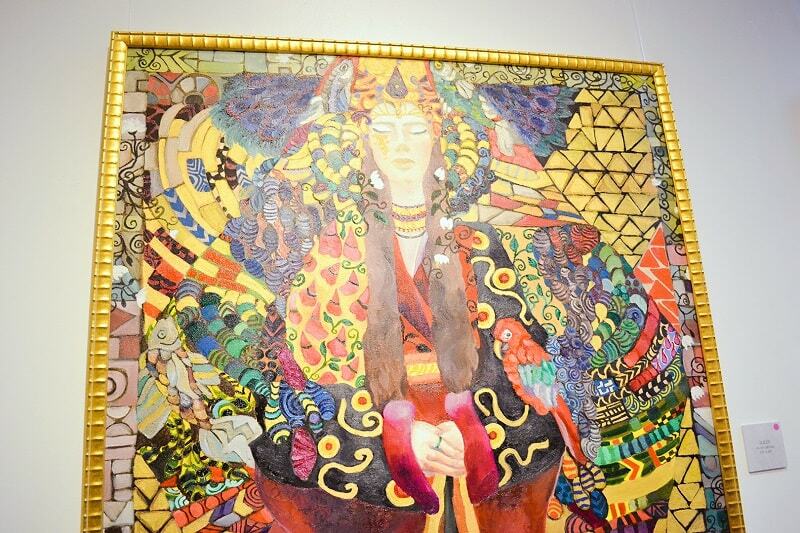 It's like when you see her paintings, you will feel that happiness and peacefulness. I love it. She is a new artist here in the Philippines, but she became first as an entertainment celebrity and movie star. Now she is everything! Wow, beauty and talent. I am so impressed. Her work looks like mosaic art, or stained glass art. Very complex and I wonder how she did it. I know right! She is very creative.. I just hope that she will host a workshop because am dying to attend! Thank you Coi! I will post her newest creations soon! This is so good! She seems to be super talented. Thank you for sharing!! Ohh she is. And am truly inspired. She's so beautiful and talented! Ohh you could see her photos on her wedding. OMG she looks like a royalty! I love the use of colors in these paintings. And the artist is just as beautiful. I know right.. she is almost perfect! Her husband is so lucky! Not surprised the pictures were sold. What beautiful works of art. She is definitely talented. It was nice it was shown/shared with others before it was sold off and put in private homes. OMG these paintings are beautiful! definitely filled with character and a story behind every painting! Wow kind of interesting to attend such exclusive events, so classy. Thank you Sunshine! The exhibit is free for all, but you know there are still shy to visit exclusive galleries. I really did love all of the pieces of art that you posted here. Everything was quite beautiful. Thank you David! Does your kid also into any forms of arts? Marie looks like a Barbie! So perfect! I am not much of an art savvy BUT I just love to go to art galleries and look at them. Love Marie Ongpauco-Escudero sounds like a dynamic woman with beauty and brain! Her collection is very vibrant and reflects her beautiful persona! Thank you Ana for visiting! Yeah her name per se defines her personality - beauty and brains, with innate talent, humble woman, etc. Unbelievably beautiful art work ad gorgeous artist Marie.I don't like abstract work either .These are superb. I love the feminine power of each of these pieces. I too want to take up painting but am way too distracted. I guess for now we leave it to the professionals. LOL! I love painting all are pretty. wow you still keep the photos, me too its still in my phone. Hahaha yeah, I love taking photos, and sometimes I forgot I have them.. but its a good thing because I have something to always looked-back :) Its a beautiful memory! What an amazing exhibit! All of the pieces are simply beautiful. I am the type that loves COLOR - so this artwork speaks to me on so many levels! Thank you Gigi! Colors makes us all HAPPY! Wow, you chose some beautiful art to share here. I've actually gone and looked up some more - she's incredible! The bags she's painted are amazing. Such beautiful pieces! She is unbelievably talented! Thank you for sharing your pictures as well as the story behind them. This exhibit has so many beautiful pieces! She is truly very talented and it would have been a fantastic exhibit to see. And all here exhibit are free admission. Its amazing! First of all her skin is flawless! Secondly, great artwork! Looks like it was a great night! Wow, these pieces of artwork are truly beautiful. I love all the colors, shapes, and photographs in each piece. Not to mention the actress/artist is beautiful! Omg so many beautiful pieces of art!!!! I just love visiting art museums!!!! Thank you for liking her works. More post about her very soon! The art is so beautiful and vibrant. These are definitely interesting pieces. No doubt that she's very talented and beautiful. I'm sure this exhibit will be a huge hit. 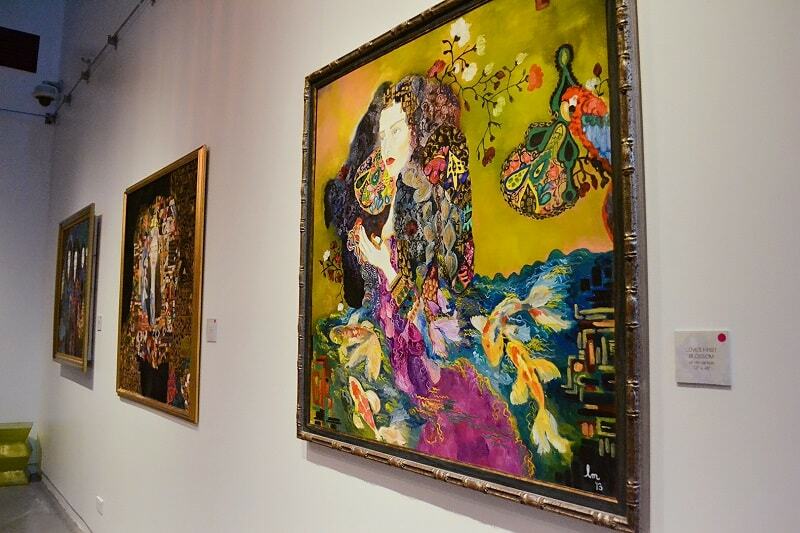 I love that her paintings are all bright, colorful, and full of life. It would be nice to see them in person. Indeed. I've visited her recent exhibit at SM Megamall. And will share my photos soon! Yeah, and when you are in-love you can create more beautiful things in life. I think Love Marie or Heart as many knows her, becomes more successful with her artistic side rather than acting / modelling. She is born as an artist, and I think its her destiny to be a famous one. Entertainment industry doesn't suits much of her personality. Although I'm not into painting or any sort of art for that matter, I appreciate art when I see one. I love looking at paintings, listening to music, and whatnot. And my mind would always wonder at how great the person is behind that particular art. Wow, I love Heart Evangelista. I didn't know she was good in painting, too. She's such an empowering woman with both beauty and brains. <3 Thanks for sharing! It looks like a fascinating art exhibit to see. All of the art work is so colourful which I think makes it stand out. All of the artwork has beautiful faces. Thank you dear! She is truly an icon! Kainis, I've always wanted to paint. Frustrated painter and doctor,haha! These hands can only do stick figures. So now I'm wondering saan nagmana daughter ko?! If only I can show you her book of drawings. I think she's into fashion. Anyway, I hope one day I can see Ms.Heart's paintings and meet her in person. Thank you for sharing! I love Heart, she has a lot of talents. Ang ganda ng mga paintings nya, para sya lang din, maganda. 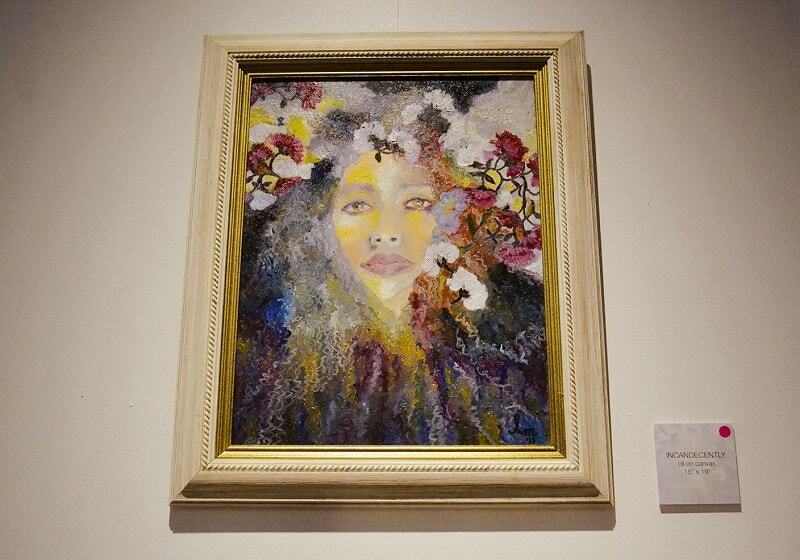 I have never been to her exhibits kasi nasa Mindanao lng ako, thanks for sharing her works. Thank you for visiting Zoan! 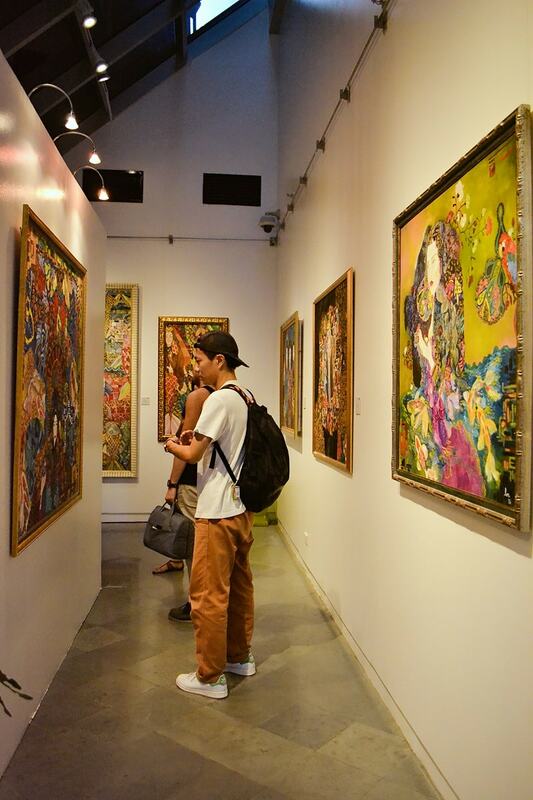 Maybe next time you visit Manila, you can also visit her exhibits soon! Love Love the art and you are also very beautiful, great post. Wow! I didn't know she was this artistic. I mean, yeah she is an artist, but having this incredible talent as an add-on is simply amazing. Uwi-an na mga bes! May nanalo na. Those are unique and great collections, it shows that she does have a nice talent and good to hear that she pursued it. Yeah. She is already an artist since her childhood. Ah now am eyeing to buy one of her paintings. LOL that's funny but yeah - she is talented! I'm loving the piece with the ladies and parrots. It looks like something I would hang in my home. Ohh that is indeed gorgeous right? She is animal and pet lover which makes her inspired to paint. I love the artwork - the designs looks almost dreamy and very calming even though they're very bright and intricate - and wow - that is one beautiful woman! Stunning and talented! She is indeed so talented and gorgeous. I'm a huge fan! 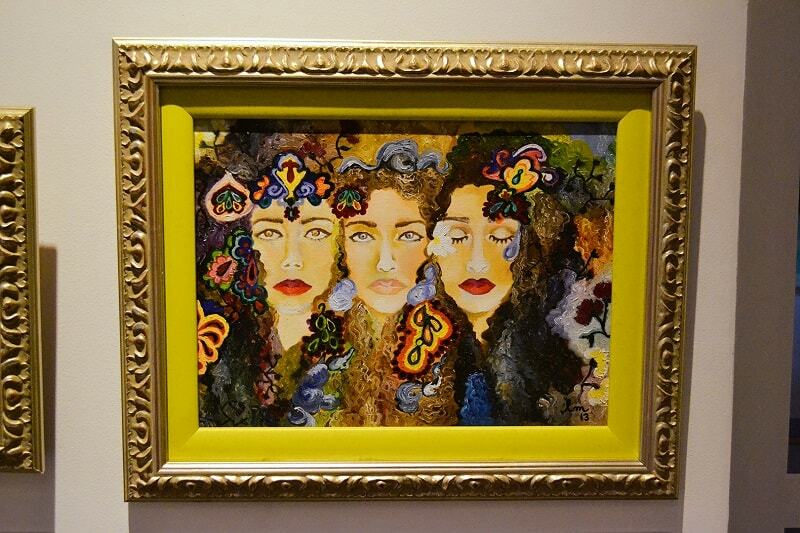 Her artwork is so colorfully vibrant and intricate. I can't image how long it takes her to finish one piece. They are beautiful! Those painting are amazing. I only get to paint once in awhile with Painting with a Twist but she has inspire me to find a quiet space and just paint. Thanks for sharing. You are always welcome here Tamika! Love the pictures! And you should definitely paint! Especially if that is your passion. Never and I say never put your passion on the back burner. Go after what you want! Thank you Shauna, yeah I will! Am planning to pursue it when am already working at home.